Chess Match No. 5 is a new play by Jocelyn Clarke, based on texts from the many public conversations with American composer, writer, artist, and philosopher John Cage. SITI actors Will Bond and Ellen Lauren create a unique live art performance, part chess game and part music happening, which explores the words and ideas of a visionary artist. Come experience the wide-open mind-bending brilliance of Cage’s insights about the world, about art and music, philosophy and the adventures that life presents through the conversations that he engaged in throughout his life. 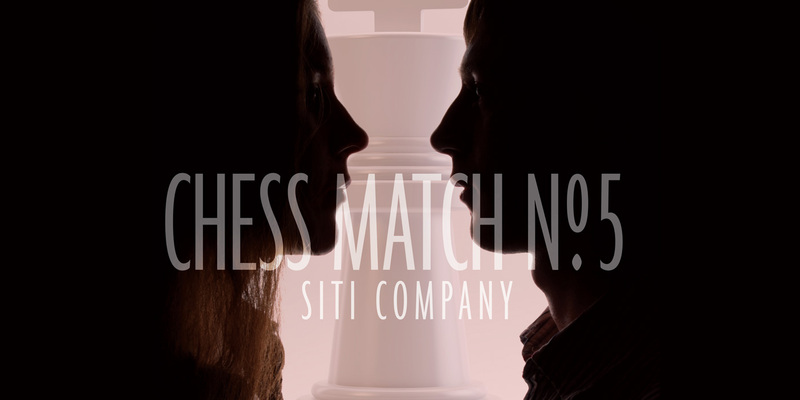 Dense and humorous, graceful and penetrating, this is SITI Company in an adventurous mood, landing lightly upon the profound truths to which we all can relate.